£3.95 for orders up to and Including 1kg in weight. £4.66 for orders from 1.01kg and up to and including 5kg in weight. HALF PRICE - 24 hr Courier on all orders Over £10 (for UK Mainland Only): Just £2.33. Orders need to be received by 12 noon* on a week day. Please do not count the day of order, weekends or UK Bank holidays as delivery days. Despatch is within 1-2 working days approximately if we receive your order by 12 noon* on a week day. Please do not count the day of order, weekends or UK Bank holidays as delivery days. Please note, a signature is required for Courier delivery, regrettably we are not responsible for a failed delivery if no one is available to sign for the parcel and the parcel is returned to the Courier’s sorting office. You will receive a Confirmation when your order has been confirmed and when your order has been shipped. Please Note: All deliveries will only occur on working days (Mon - Fri), excluding bank holidays. Please select the appropriate option from the drop down menu if your order is over 2kg in Weight as it will not be automatically selected. All Highland & Islands Orders will need to be approved by us before being released so please select the correct option to avoid delay in processing your order. We will contact you if the appropriate option is not selected with details of the correct cost and enquire how you wish to proceed. Regrettably we do not offer this service at the present time but we are reviewing the best options available to provide you with the most affordable service. Whilst we make every effort to deliver our products to you in the best possible condition we don’t have any control over the temperatures during their transit of you order and cannot accept responsibility for any chocolate that has been heat damaged. We use Royal Mail and Courier 24hr delivery services so that the product is in transit for as little time as possible to try and reduce the potential effects of heat. Any claims must be made within a maximum time of 48 hours after parcel receipt by email to onlinesales@goldensunrise.co.uk. After this period, no claims will be accepted and unfortunately we can’t offer you a refund or exchange. Generally we don’t accept returns of perishable food items and kindly ask you not to return your order unless by prior agreement with Golden Sunrise Foods Ltd. If you are requested to return your item(s) then they must be unused and in the same condition that you received them and in they must also be in their original packaging. Please also see Refunds and Returns Policy. All products are packed in a Factory that uses Nut ingredients and as such may contain nut or nut traces.. Milk Chocolate Products contain Milk products. Most products are suitable for Vegetarians. Please feel free to contact us if you are at all unsure or need us to advise you on the Ingredients within our products before ordering. Before your order can be accepted we must receive whole payment for the products at the price detailed and confirmed. Once we have received your payment we will confirm that your order has been accepted by sending an email to you at the email address you provide on the order form that we request you complete. Our acceptance of your order creates and brings into existence a legally binding contract between us. We kindly request that customers complete the order form fully and accurately. We cannot be held responsible for the failure to deliver, if inaccurate or incomplete information is provided to us about you or the recipient or if there is an error made with the amount you are requested to pay. We accept no charges for further forwarding or reshipping the package to another recipient or to a different delivery address than that given on the order form as this is solely the responsibility of the customer. Should you place an order for any goods and services offered for sale on our website you are deemed to have accepted all our terms and conditions which will govern your order. 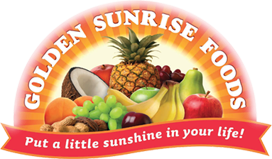 Golden Sunrise Foods Ltd will check and approve all orders before confirming the order. 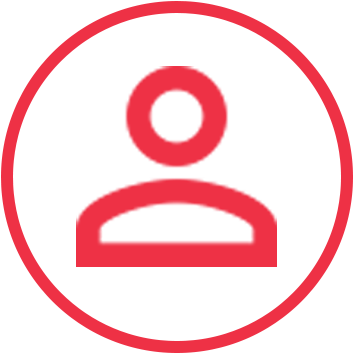 Payments are made immediately on order using WorldPay. Any issues with your order or it’s despatch will be notified to you by email and if we can complete or ship your order due to stock or unavailability, we will contact you to offer you an alternative or advise when the goods will be available to be delivered. Cancellation or modification to an order by the customer may only be made prior to final confirmation and payment. Chocolates, sweets, dried fruit, seeds and nuts are deemed to be a Perishable food product and as such, any rights of withdrawal do not apply to contracts. All prices offered on our website are stated in British Pounds Sterling and include Vat of 20%, where appropriate. Vat of 20% is also included within our Delivery costs. The Vat element of the cost of your order is shown during the order process. Prices are subject to change at our own discretion and without notice so please see regularly check our website. However, we will not change our costs once an order has been accepted. Please note we will be running promotions and other incentives so please visit our website to see any special offers.